Join our team. 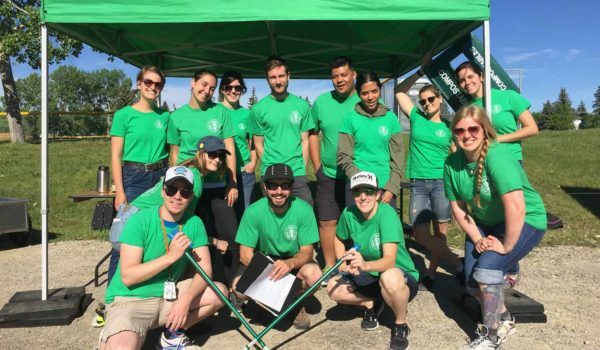 We’re making a difference at events in and around Calgary by providing systems to divert waste, while educating & empowering our community about zero waste living. In 2016, we celebrated partnerships with over 70 events, with a combined attendance of over 1 million people. Most importantly, we diverted over 65 tons of waste from the landfill! We rely on the help of personable, passionate, & community oriented individuals to make a difference at the many cultural & social event experiences around Calgary. We couldn’t do it without our incredible team! If this sounds like you, we want YOU to get in touch! Questions or concerns about joining our Green Team? We're happy to chat with you. We hope to inspire a new generation of responsible leaders by showcasing our event services as solutions to our environmental challenges.